On Tuesday 9 APRIL 2019 – 7.00pm for 7.30pm Dr Andrew Christie will present at BEAUMARIS SENIORS CENTRE, 96 RESERVE RD, BEAUMARIS. 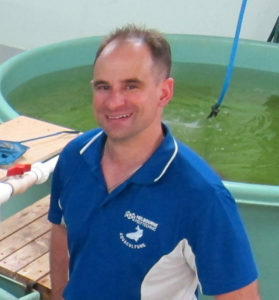 Dr Andrew Christie is a lecturer in aquaculture and aquatic environmental management at Melbourne Polytechnic’s Epping campus, where he has worked for the past 18 years. He is also President of Marine Care Point Cooke, a member of the Jawbone Marine Sanctuary Care Group, a committee member of the Australian Marine Sciences Association, and a member of the Field Naturalists Club of Victoria. He is an avid snorkeler, diver and underwater photographer, and tries to spend as many weekends as possible in the water. This presentation to Marine Care Ricketts Point friends group will aim to give the audience an idea of the types of projects that Marine Care Point Cooke and Melbourne Polytechnic have been involved in within Point Cooke Marine Sanctuary (including past, present and future initiatives). A key focus will be to give the audience a strong idea of the sorts of fauna and flora that inhabit the sanctuary beneath the surface of the water, and some good spots for snorkelling and SCUBA diving in the area. This presentation will go for approximately one hour, and time for questions will also be allowed throughout the presentation.